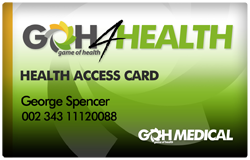 Welcome to Game of Health.com! Where are you stuck in your life right now? Where do you want a breakthrough? Are you having challenges with your weight, your level of energy, diabetes, ability to sleep, pre-diabetes, or high blood pressure. Where are you stuck? That’s where I really want to work with you. To help you, not only get unstick, but to help you have breakthroughs into a new and very positive way of living that is exciting and dramatically energy filled for you. Contact us at (972)292-7158 ext 2 or come visit us at 6211 West Northwest Highway Suite C255 Dallas Texas 75225. We are located in the Preston Towers Building – the tallest building in central Dallas on Northwest Highway, just East of Preston Road.